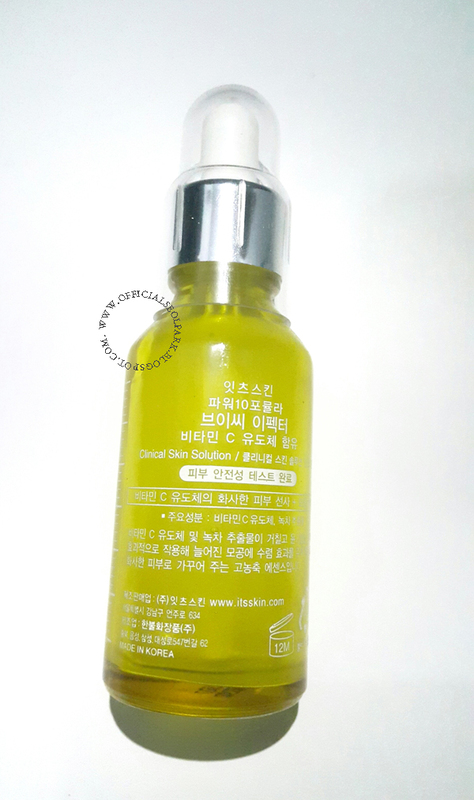 Hello Dearest, Today I'll show to you my another review about Korean beauty, as you can see below on this picture, this is a It's Skin Product that I want to tell for you. 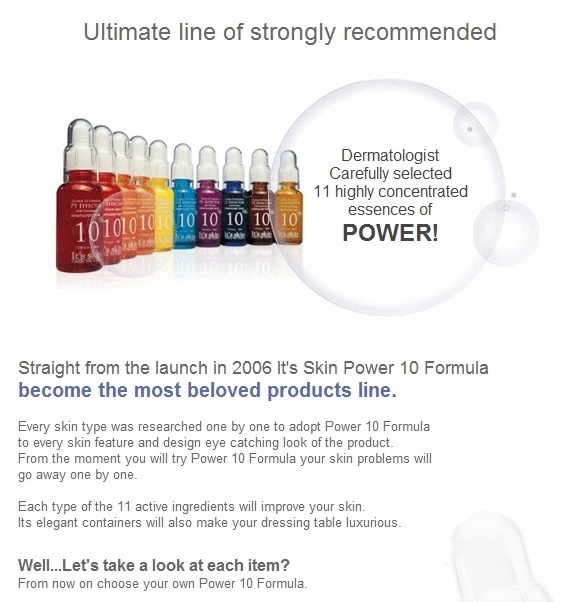 This product name is "Power 10 Formula" and they have so many variants here. 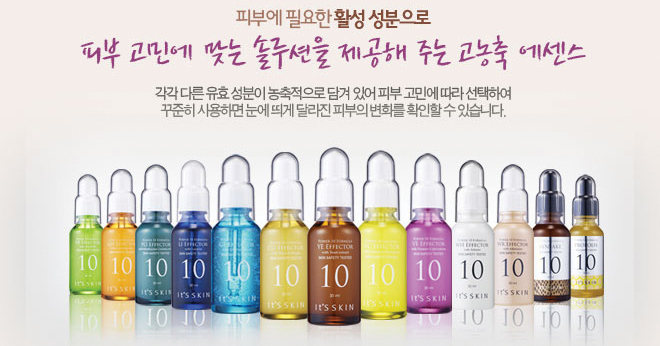 There are have 13 serums, and from this thirteen serums, I just to do a reviews this "VC Power Effector". VC is vitamin serum, very suitable for acne and to brighten the face. 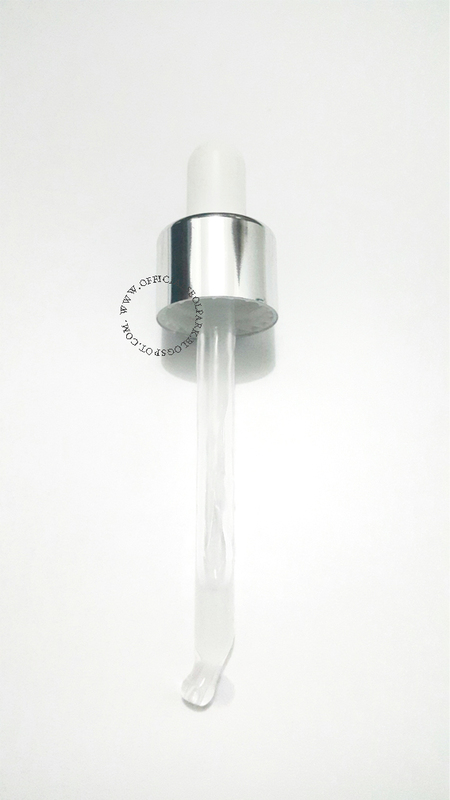 Ingredients: Water, Butylene Glycol, Glycerin, Polyglutamic Acid, PEG-60 Hydrogenated Castor Oil, Ascorbyl Tetraisopalmitate, Carbomer, Methylparaben, Triethanol amine, Acrylates/C10-30 alkyl acrylate crosspolymer, Camellia Sinensis Leaf Extract, Chlorphenesin, Fragrance, Disodium EDTA. 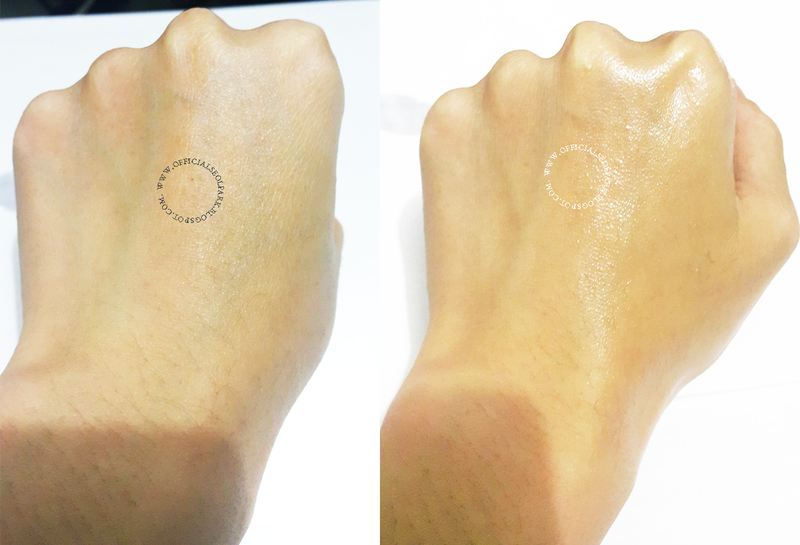 For the packaging detail is super elegant with dot design, like other serums. The design of this bottle like pharmacy bottle on laboratory so cute. But, the weakness is the bottle from glass, it will be break when you don't carefully dropped to the floor. So, I want to say be careful haha.. This serum comes with a small size with 30 ml contents of each bottle. 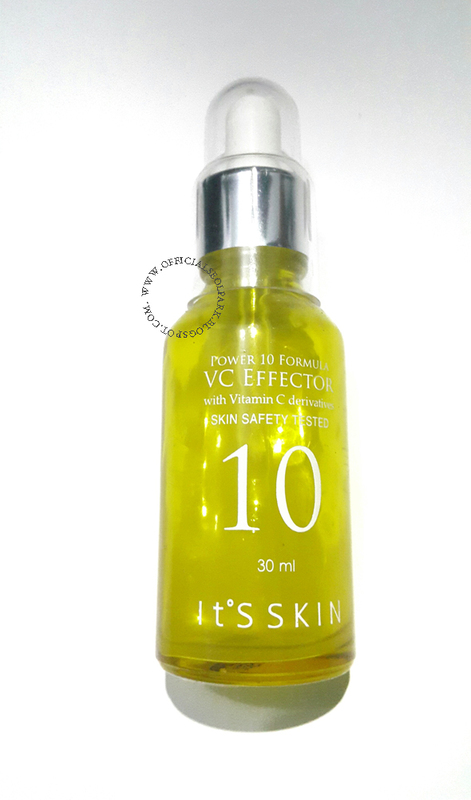 And this VC Power Effector has come with yellow bottle, like vitamin C colors. But, the serums colors is white. In the back design, when you opened the plastic, you can see all is Korean words, and I just know a little word. These are tell about the description of bottle and how to use. And Ta-da this a pipette design, with so simple design like we use at pharmacy laboratory. And, you can see the white serum inside. 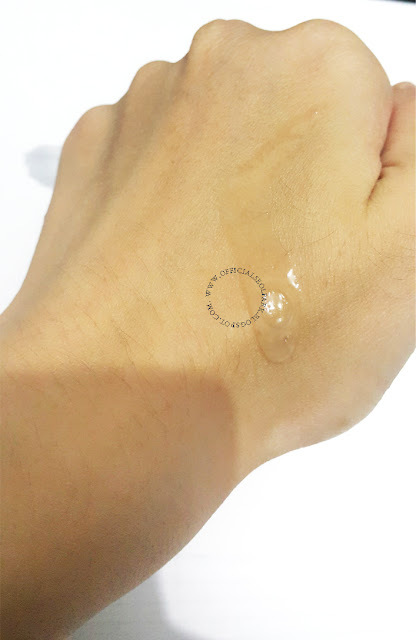 The texture is not to creamy and slightly watery, with white transparent colors inside. 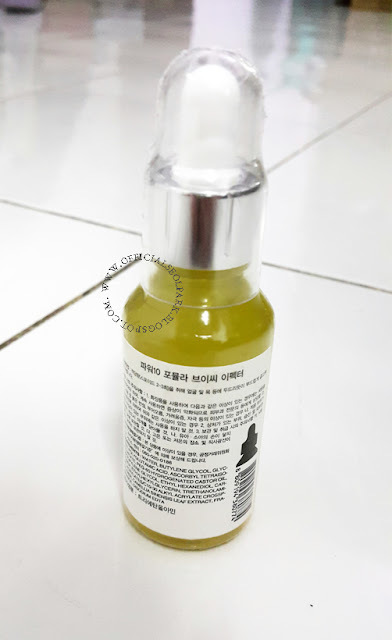 And the aroma is so wonderful, very scented with the smell of orange / vitamin C.
This serum very quickly absorbs to the face and cooler fresh, but you will feel a little sticky on the face. But, just for a few moments, and you will be comfortable. For this serum I bought from Online Shopping in Indonesia. 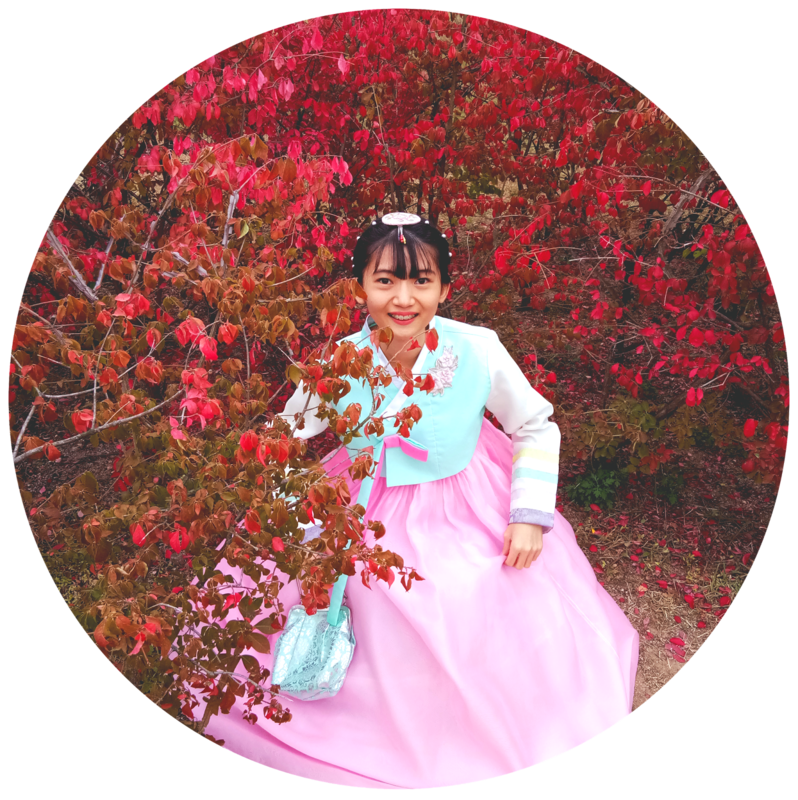 But, I will give you my recommend online shopping that is Tester Korea. No. I don't feel a good effect in this serum, but as far as my use is okay enough to moisturize the face. But, not too bright my face. Maybe I will try another Serum Formula. I'm following your blog via GFC, could you follow my blog too?